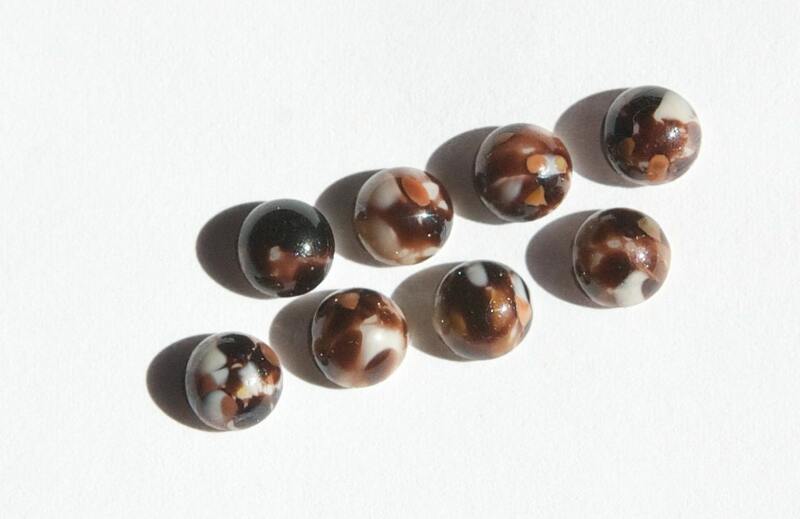 These are vintage cream colored glass cabochons with shades of brown marbling that were made in Germany. They have a domed front and a flat back. 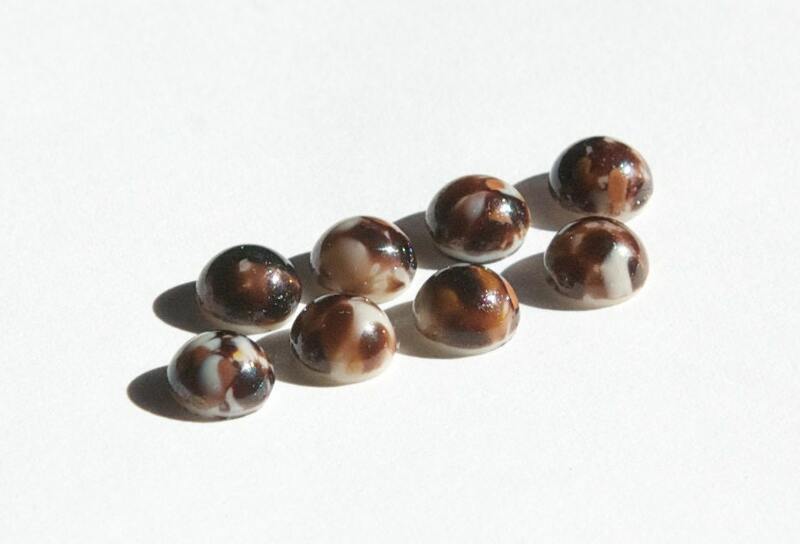 These measure 6mm. You will receive 8 pieces. These really ARE yummy! Thanks!